Rock/blues icon Southside Johnny and the Asbury Jukes are headed to Cuba for an historic visit and appearance at the Havana International Jazz Festival Dec. 17 to 2217th – 22nd, while the band is also touring around the U.S. in support of their new CD Soultime! 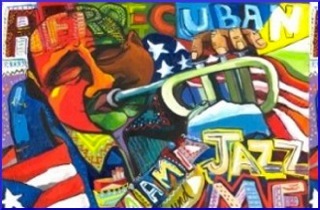 The album is the band’s first new studio CD in five years and the Havana trip allows them to be one of the first American recording artists to perform for a Cuban audience since the restoration of diplomatic relations with the U.S.
Southside Johnny sees himself as a kind of “musical ambassador” bringing his brand of American soul/R & B to the Cuban people. On Sat., Sept 19 he joined a group of well wishers, local officials and members of the media at the Havana Tropical Lounge in Highlands o talk about his upcoming adventure. The public is invited to participate in the trip. A limited number of 100 all inclusive tickets are available for purchase to the public. They include roundtrip airfare from Atlantic City to Havana, hotel, meals, in-country transportation, All Access Festival Passes, Visa and travel documents and fees. Rock Star Level is already sold out. For more information on this historic opportunity contact Sandy Lay at Choice Aire Airlines 786-532-1751 or www.flychoiceaire.com to book a package. Space is very limited.